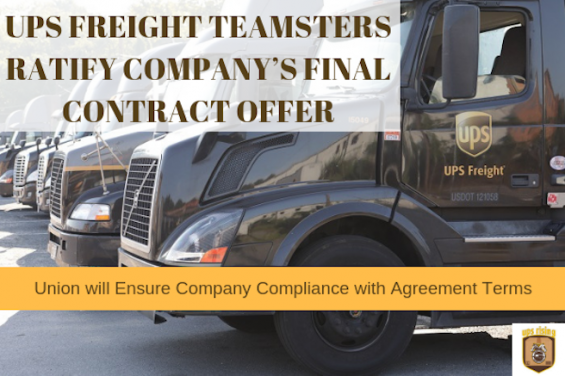 (WASHINGTON) – Workers at UPS Freight represented by the Teamsters Union have ratified a new five-year agreement that was the company’s last, best and final offer, averting a national strike. Members approved the contract by a 77 percent to 23 percent margin at local union meetings held from Nov. 7 until today. The agreement covers approximately 11,600 workers at the company.